With the Karamahawk Red Horse Knife Works has combined the power of tomahawk with the effectiveness of a karambit. 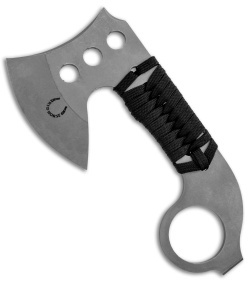 This model is outfitted with a stonewashed D2 blade and a black cord wrapped handle. Light, compact, and functional, the Karamhawk will make a unique addition to any EDC rotation. The finger ring handle is equipped with a thick pry bar for daily tasks. It also makes a great bottle opener in a pinch. 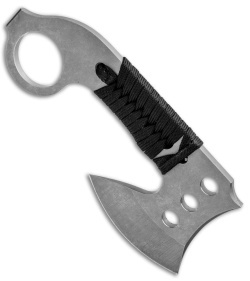 Get the best qualities of a tomahawk and a karambit in a small easy to carry package with the Karamahawk from Red Horse Knives. 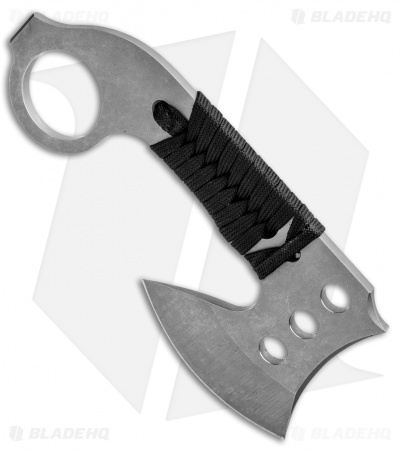 Thick D2 steel blade has been heat treated in house for a high performance edge. A black cord wrapped handle offers a secure and effective grip. 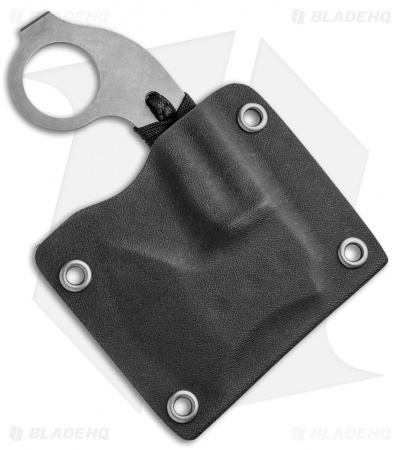 Item includes a fitted black kydex sheath for comfortable carry.